1. Sharp things cause balloons to pop. 2. John is a really sharp dresser. 3. Therefore, John causes balloons to pop. Two different meanings of the word “sharp” are being confused, which causes us to come to a false conclusion. The fact that John dresses handsomely (making him a “sharp” dresser) doesn’t mean he pops balloons. Here, the metaphorical, idiomatic definition of sharp (“sharp dresser”) is confused with literal sharpness. Now, of course, we intentionally commit forms of equivocation all the time. Puns and plays on words depend on this. Someone may even jokingly say to John, “My my you’re a sharp dresser; I better keep you away from my balloons!” Or in a less jovial context, one who lacks compassion might be said to be “cold as ice.” Obviously, the person is not physically cold, nor does ice act mercilessly; the phrase is not meant to be taken literally. What is at issue here is not puns and witticisms and figures of speech, but rather the making of serious, persuasive arguments using such equivocation. John doesn’t actually pop balloons. The girl Foreigner sang about probably had a core body temperature of around 98.6 degrees Fahrenheit like everyone else. To argue that John actually pops balloons or that a nasty person is physically cold is to fail at making a valid logical argument. 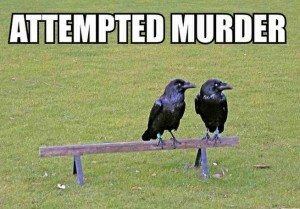 Consider another example: There is a meme on the Internet that has two crows standing on a beam of wood, and it says “attempted murder.” The joke is that a group of crows is called a murder (I have no idea why), and so two crows would be “attempted murder.” It’s humorous. But now, let’s imagine that an overzealous prosecutor went after the person who baited the crows to come together and charged him with the crime of attempted murder. What would his defense be? Simple, the charge would be based on equivocation. The law defines murder as the purposeful, unlawful killing of a human being. The prosecutor would be treating the gathering of a murder (a group of crows) as if it were the other kind of murder (the unlawful killing of a person). That would be absurd and the kind of thing that would hopefully get such a prosecutor disbarred. We also see equivocation in regard to the language of annihilation. As discussed previously, it is not necessary for God to cosmically obliterate every shred of subatomic matter (and any applicable immaterial counterparts) that once made up an unsaved person in order for our view to be true. If the unsaved are eternally without any sense of consciousness, and are end up as inert matter like ashes or dirt (or even a well maintained corpse), then they can experience neither eternal pain nor eternal salvation. This would render any version of the traditional view or universalism false. And yet, more than a few traditionalists will equivocate by arguing against annihilation in the sense of cosmic obliteration, not merely the eternal end of a person’s conscious life. These arguments sound convincing but ultimately do nothing. It usually goes like this: One way or another, they argue that humans cannot or will not be annihilated in the sense of God pulling out a magic ray gun that makes them disappear so thoroughly that even the matter that created them is uncreated. Some may not consciously think it it in such stark terms, but in practice, this is what it amounts to. They define “annihilation” in a very strict sense, and argue that the Bible never speaks of humans being subject to it. Like Robert Morey writes, “Indeed, there isn’t a single instance in the New Testament where ‘apollumi’ [a key word for destruction] means annihilation in the strictest sense of the word.”1Robert Morey. Death and the Afterlife (Bethany House, 1984), 90. The problem is, such a strict and pure definition of annihilation, annihilation at a cosmic level, isn’t necessary and isn’t what we are talking about. Like Dr. Morey above, the modus operandi is to look at examples of the words translated as “destroy” and “destruction,” such as apollumi, see that they are used to describe people being killed, or food being spoiled (John 6:27), and say that that’s not really annihilation, so annihilationism isn’t true. But Dr. Morey doesn’t disprove annihilation as we mean it. He equivocates. He argues against definition A of a term, and then implies that definition B is disproved, as if definitions A and B were the same. It is as if he argues that John’s shirt would not pop a balloon (i.e. it is not physically sharp), and therefore, John is not a sharp (i.e. snazzy) dresser. As to this argument regarding “annihilation,” death or decay may not fit their definition of “annihilation,” but if you kill a soul2Whatever “soul” means. the way that a body is killed at the first death, the way that God will destroy (appolumi) the soul in hell (Matthew 10:28), then whether you consider that “annihilation” or not, whether you think being fully dead in body and soul and unconscious for ever really amounts to ceasing to exist, it remains that the person who suffers the second death has an experience that is no different than if he or she were blasted away with a cosmic ray gun. A person is more than just parts, parts that cannot think or feel or be happy or sad or know anything. When Jesus died, there was a resurrection to come. Out of the first death, for saved and unsaved alike, there is a resurrection to come. But after the second death, there will be no resurrection to come, and so all that inert matter that was once part of a person stays inert matter for eternity. The unsaved are gone, existing only in the contempt of God and those who remain (Isaiah 66:24; cf: Daniel 12:2). We see similarities to the above idea when we look at the biblical examples cited. When food spoils, it decomposes; it doesn’t stay as a merely ruined piece of food forever. This is aside from Dr.Robert Taylor’s suggestion that the food perishes in that context not by spoilage, but by being eaten, which may not be absolute obliteration, but it certainly isn’t eternal preservation either!3Robert Taylor. Rescue from Death: John 3:16 Salvation (Outskirts Press, 2011), 48. The person is done away with just as the heavens that exist today will perish (Gr. apollumi) (Hebrews 1:11). Some traditionalists (not speaking on the topic of hell) will even argue that God won’t truly annihilate all creation when he brings the new heavens and earth,4Wayne Grudem. Systematic Theology (Zondervan, 1995), 1160-1161. but that just underscores the point even more. Even if God were to take all the matter and components from the creation of now and turn it into the perfect creation of eternity, the old creation has perished and gone even though all the components still exist.5A common explanation for the use of apollumi when describing humans is that it really means destruction in a secondary, non-literal sense of ruin. But that clearly isn’t what it means in Hebrews 1:11 when speaking of the heavens. God isn’t going to ruin the old creation but keep it in existence; a ruined heavens and earth is the opposite of the new creation! Rather, that which is described with apollumi is completely done away with in one sense or another. In the case of each individual, the components that made the person a person may still exist, but the person as a conscious living entity is gone, not merely ruined. 1. The Bible does not teach annihilation (as in cosmic obliteration). 2. Annihilationism means annihilation (as in the eternal end to conscious existence of a person). 3, Therefore, annihilation (the eternal end to conscious existence of a person) is not true and everyone exists as a conscious person forever in heaven or hell. Words and terms can have different meanings and be somewhat fluid in how they are described, and that need not pose a problem as long as we understand how they are being used in a particular context. What matters is that we don’t mix them up and end up proving nothing. 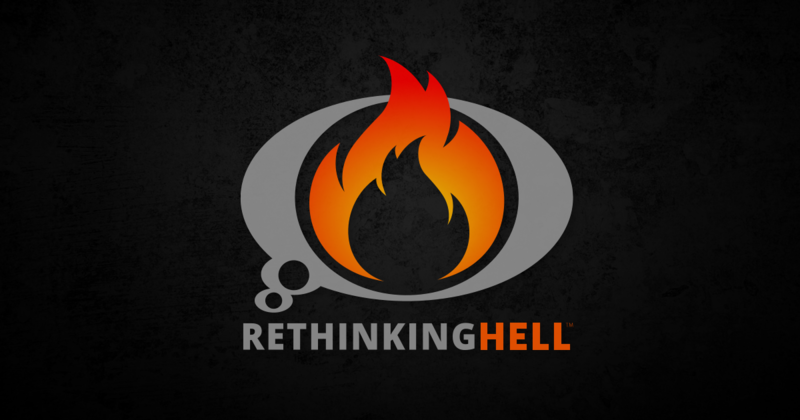 Be on the look out for this in any sort of argument, the topic of hell being a very notable one among them. 1. ￪ Robert Morey. Death and the Afterlife (Bethany House, 1984), 90. 2. ￪ Whatever “soul” means. 3. ￪ Robert Taylor. Rescue from Death: John 3:16 Salvation (Outskirts Press, 2011), 48. 4. 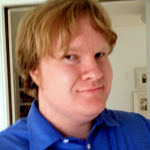 ￪ Wayne Grudem. Systematic Theology (Zondervan, 1995), 1160-1161.